Desert Nights in an US friendly Rival online casino. It’s operated by Deck Media, one of the most experienced and reputable groups on the US market with 9 online casino brands. In June 2015, Desert Nights casino went through a major makeover, so now you cannot only enjoy a new and updated design, but also time limited welcome bonus of $10 Free plus $2,550 on your first 2 deposits. Desert Nights casino has close to 200 casino games to offer, including 150+ slot machines. The crown jewel of Desert Nights are of course the famous i -Slots. There are over 50 of those, including The Reel Crime, Cosmic Quest, Hole in One and more. As we said Desert Nights went through a major re-design. If you act fast, you can take advantage of their special Makeover No deposit bonus of $10. The maximum cashout on this promotion is $170. New players are offered $2,550 welcome bonus package. On your first deposit you can get a 100% up to $1,000. On your second you deposit you can redeem another 100% bonus, up to $1,500. Both of these codes have a wagering requirements of x28 and no maximum cashout limits. If you complete these 2 deposits, even the minimum ones, you will be awarded with an additional $50 Free Chip, with max cashout limit of $250. You can make a deposit using al major credit cards, such as Visa, MasterCard and Amex. Non-US players can also use Skrill, Neteller, Ukash and EcoPayz. To withdraw your winnings you can use all the e-wallets above, plus Bank Wire and Checks. The maximum withdrawal per week is $2,500 and the processing time is 48-72 hours. All transaction use first-class security measures, including 128 bit, SSL data encryption. You can contact Desert Nights casino support by live chat (recommended), toll free number and email ([email protected]). The support is available 24/7 and the average response time by live chat and phone is 20 seconds. If you are an existing Desert Nights player, then their mobile casino is a great way to play your favourite games on-the-go. There are close to 50 games available, including 40 mobile slots. 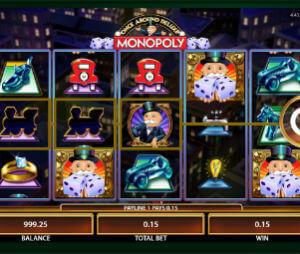 However we must say, that the mobile casino home page and design is not particularly attractive. You only see few games listed and there are wide black spaces in between which shouldn’t be there. If you can ignore that, then the actual casino lobby and the games are perfect for mobile play. Apple IOS – iPhone 6, iPhone 6+, iPhone 5S, iPhone 5, iPhone 4S, iPhone 4, 5th Generation iPod touch. iPad Air, 4th Generation iPad, 3rd Generation iPad, iPad 2, iPad mini Retina display, iPad mini. It’s not the most famous online casino, but it’s one of the most reputable once. With fast payouts, flawless history and great new promotions, this is the best Rival online casino available today.